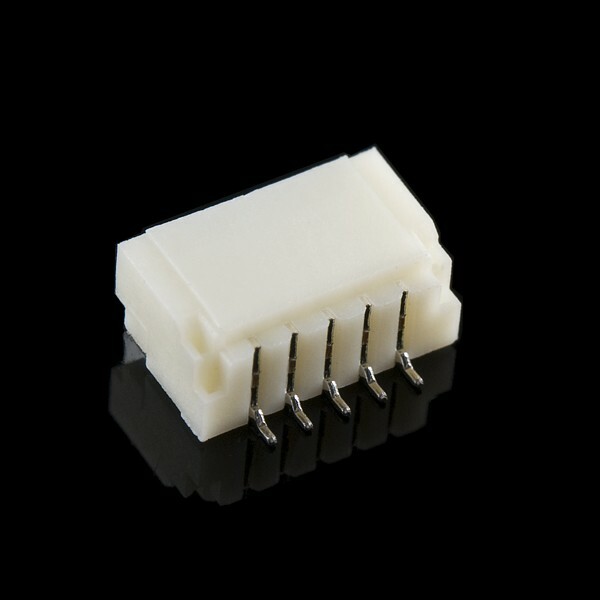 Here is a five pin horizontal 1.0mm pitch connector. It is useful if you need something very tiny as a connection. These are not the standard JST type connectors we use on most of our boards, but are actually much smaller. Check the drawing below.